If you’ve always thought that SUVs were meant for the city and the highway, then Roesch Ford in Bensenville, IL has news for you. The 2017 Ford Explorer Platinum SUV has plenty of off-roading capabilities that can take you on the unpaved road to adventure where other vehicles can’t go. The 2017 Ford Explorer Platinum model comes standard with a powerful 3.5-liter twin-turbo V6 engine that gets 365 horsepower and 350 lb.-ft. of torque. But it’s the Terrain Management System that really grabs our attention. At the mere turn of a dial, you can select any one of five distinct driving modes perfectly suited to the weather and terrain conditions. The Normal Mode transfers most of the torque to the front wheels for a smooth ride, distributing some of that twist to the rear wheels only when needed. But if you’ve headed into the back country and encounter slippery conditions on an unpaved road, then you can easily select the Mud/Ruts setting, which will provide a more aggressive throttle response at the same time it desensitizes the stability control to allow for more tire spin. Maybe you’re headed for the beach or the Dunes. Select the Sand Mode when you get there. Under other conditions, pick the Snow/Grass/Gravel mode and you’ll have no trouble traveling across a firm surface that’s covered in loose material. Maximum torque will be sent to the wheels so that they can spin enough to regain traction in winter on snow, or spring and summer on grass or gravel. Steep hill ahead? No problem! Switch to the Hills Mode, also known as Hill Descent Control, and you’ll easily maintain a consistent speed traveling downhill which will, of course, increase your safety. 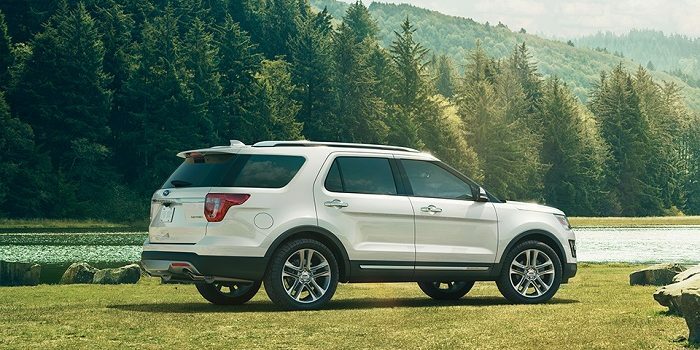 If you’d like to learn more about the 2017 Ford Explorer capabilities, come to Roesch Ford today to take it for a test drive.